The most powerful, yet intuitive and easy to use cPanel Website Builder Ever! 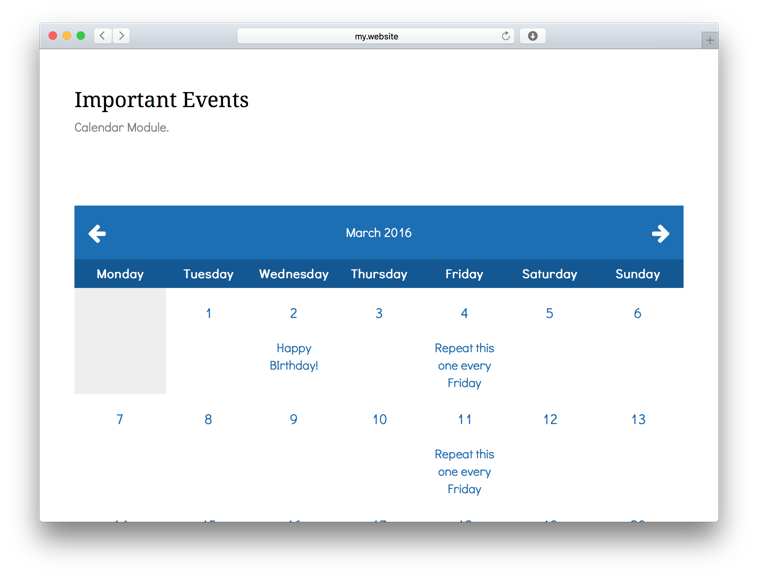 Mark all events important for your or your company and share it with your website visitors. 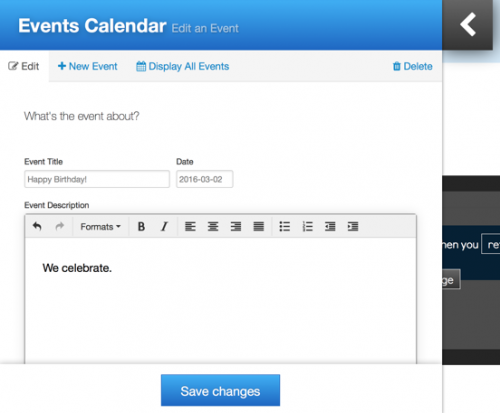 Create one-time events and events which repeat every period of time: weekly, monthly or ever year. List of key features, which makes your website building an easy experience! Kopage websites comes with default templates, which you can easily customize: replace default images with your own to give it individual look, change template layout, style, colors or fonts. Add Facebook, Twitter and other social media buttons to your website header's menu, footer or anywhere else on website contents. Each theme comes with 6 possible layouts (like menu on top, menu on the side, on top of home splash area), 6 menu styles (transparent, color, dark and more), logo-menu align (logo centered, on left, right), hundreds of fonts to choose, over 60 predefined color schemes. 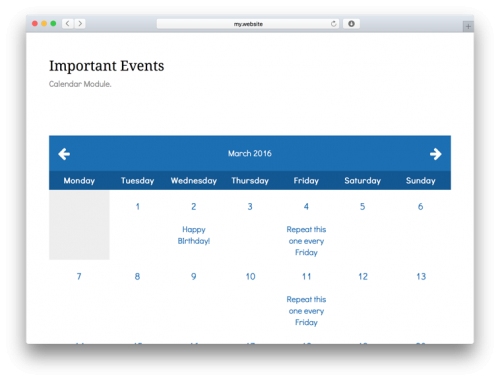 There's also built-in Themes Catalogue, from where you can easily import a template to replace your current design.